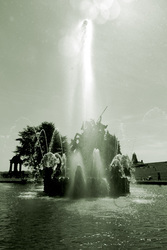 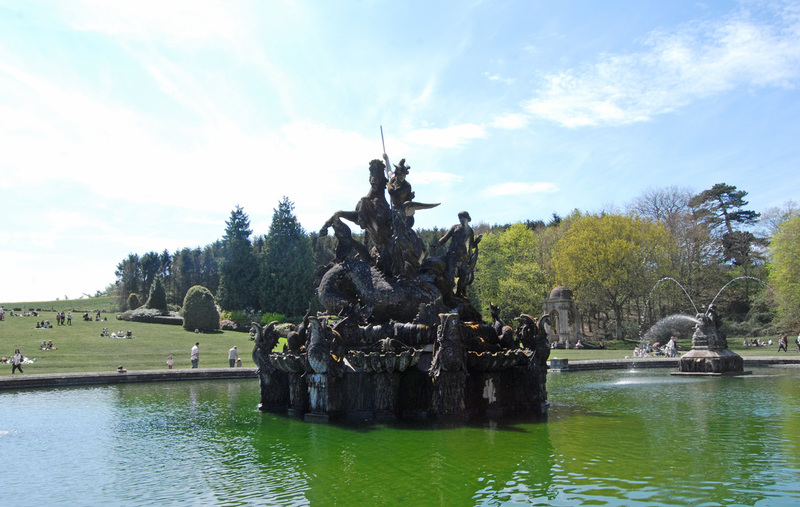 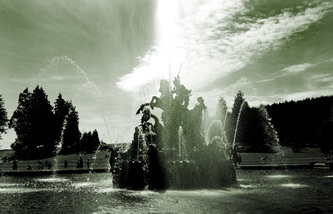 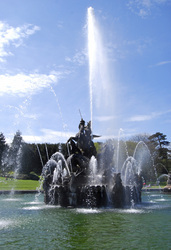 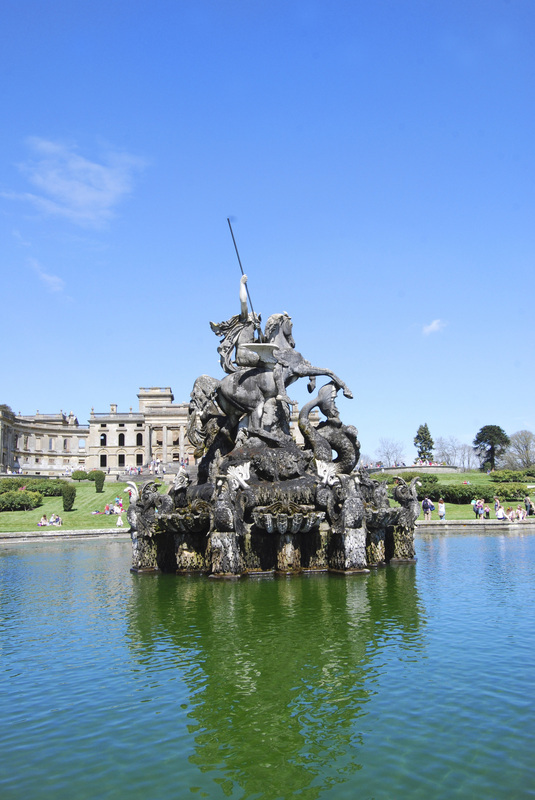 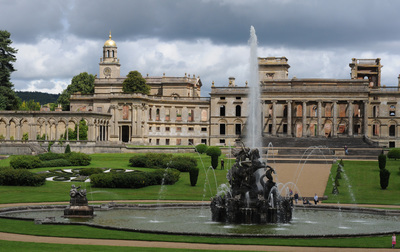 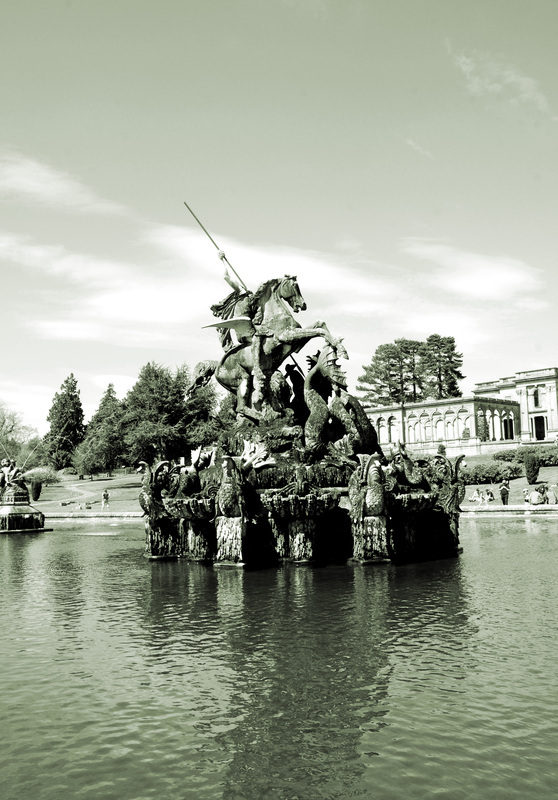 A fountain set in an ornamental shaped pool 100 metres south of Witley Court. 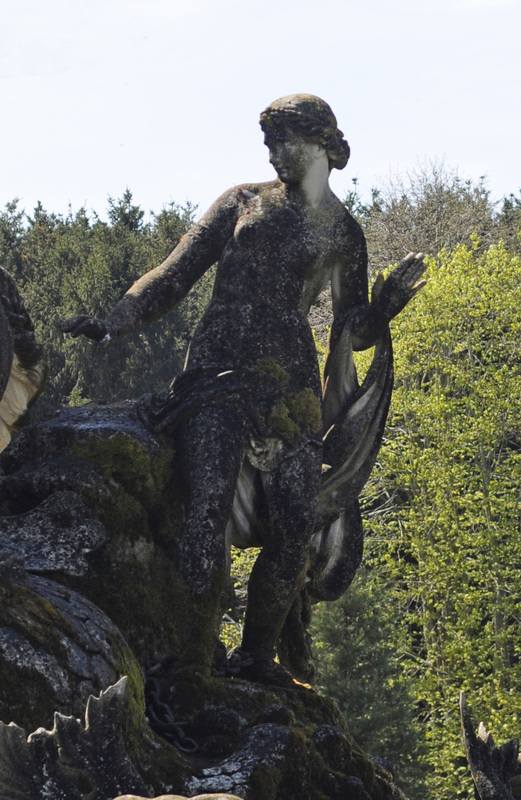 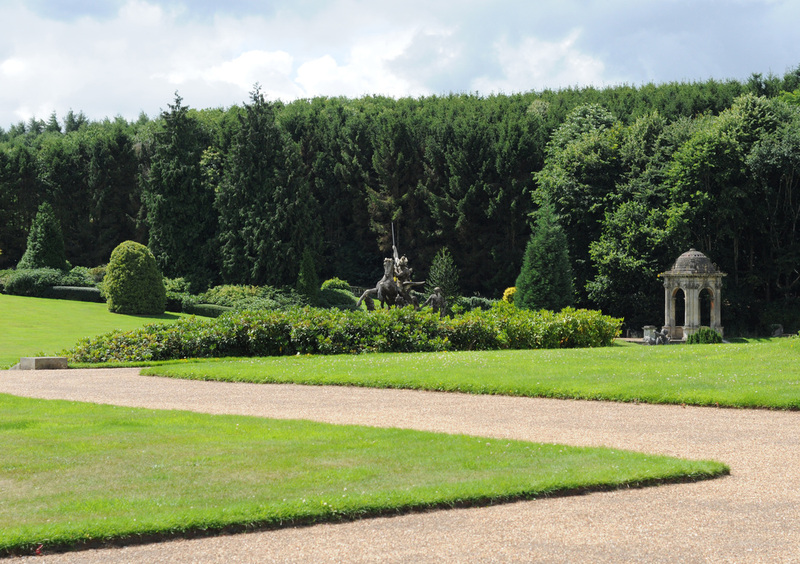 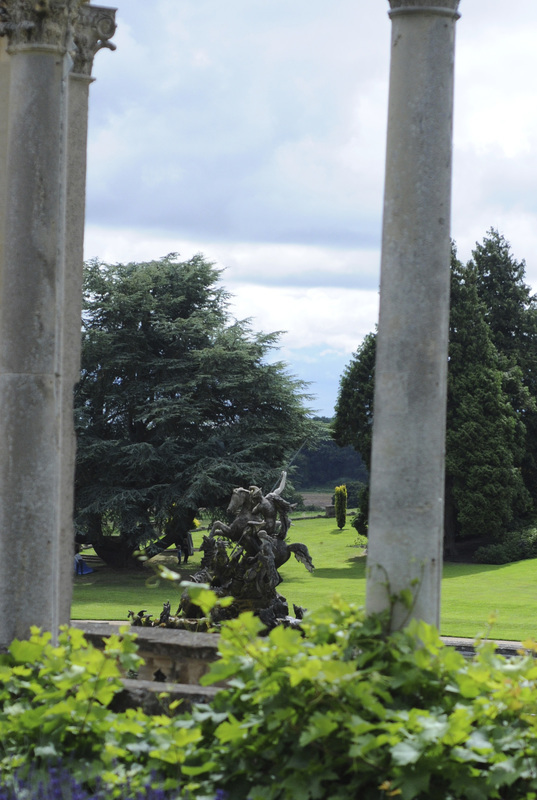 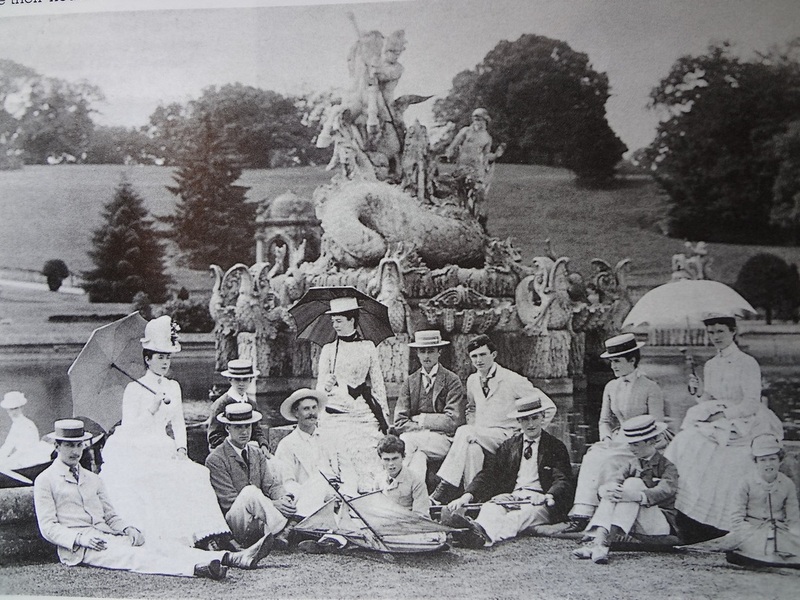 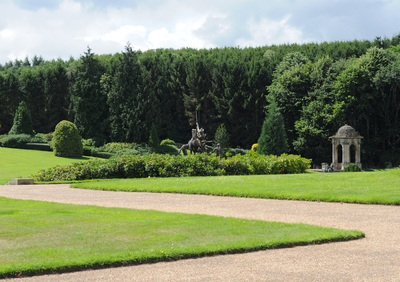 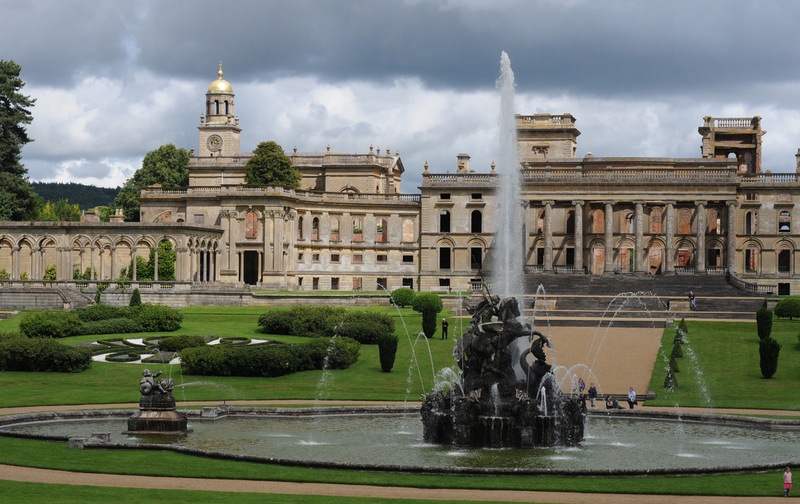 It was constructed for Lord Ward, the first Earl of Dudley, to the designs of William Andrews Nesfield, at that time the most sought after garden landscape architect in the Kingdom. 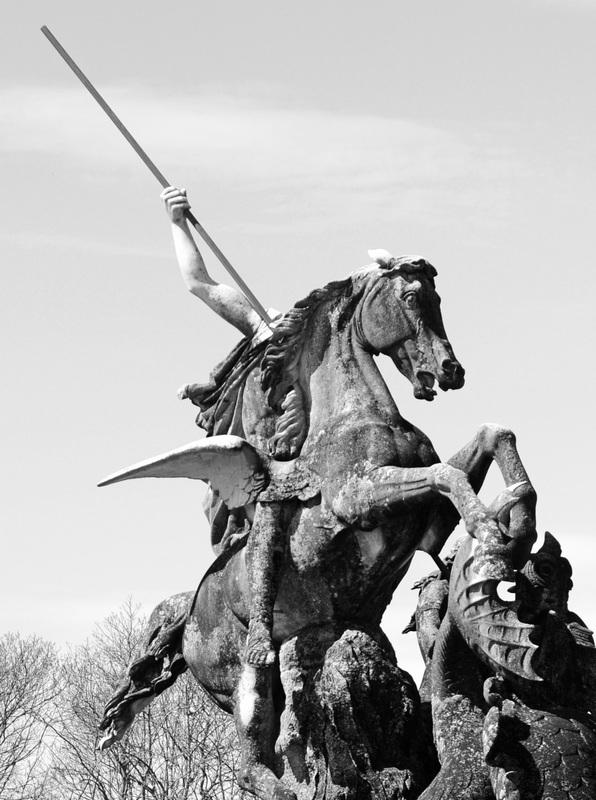 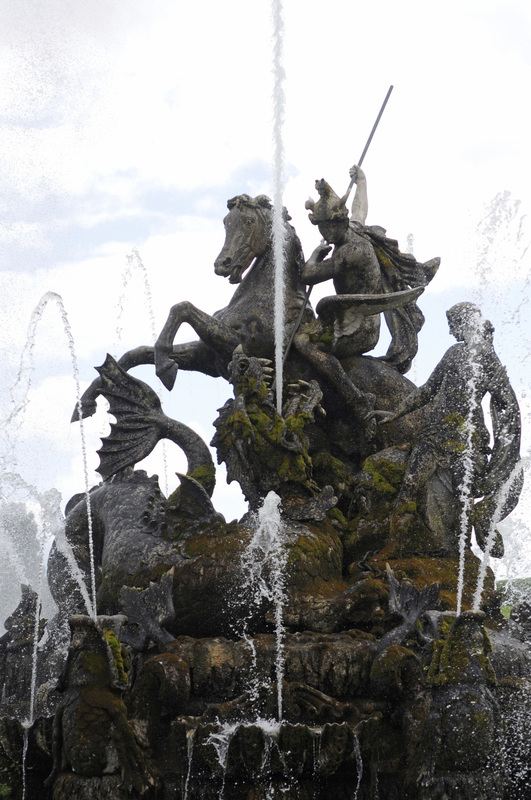 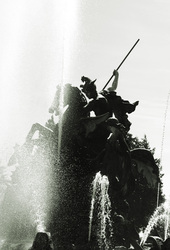 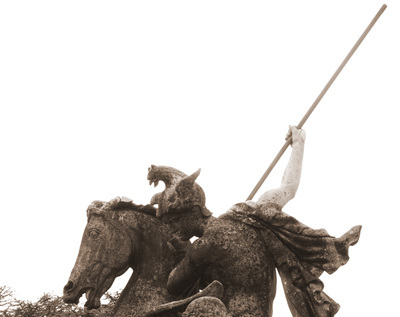 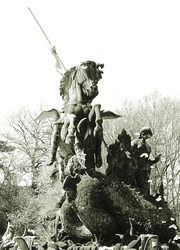 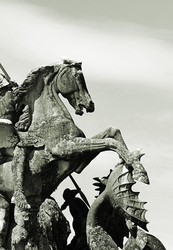 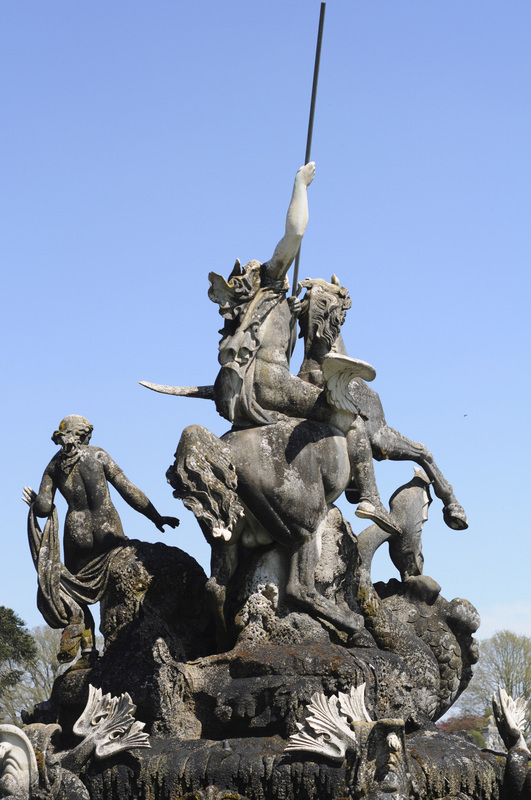 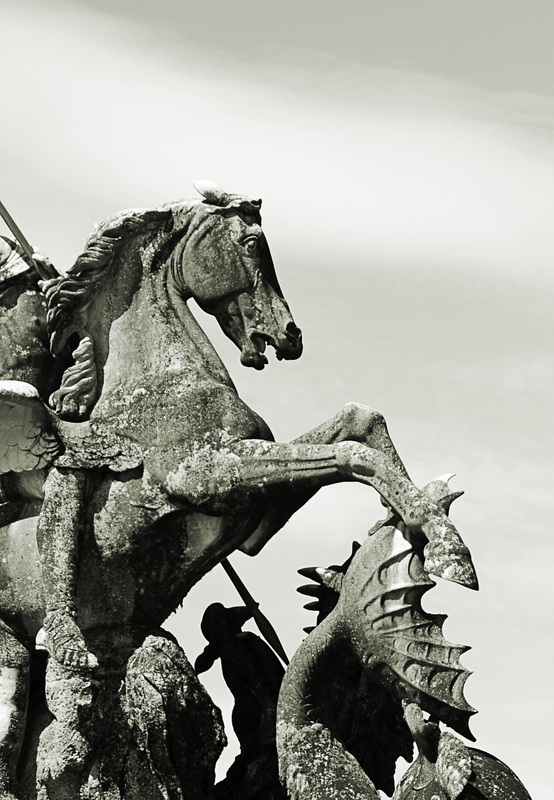 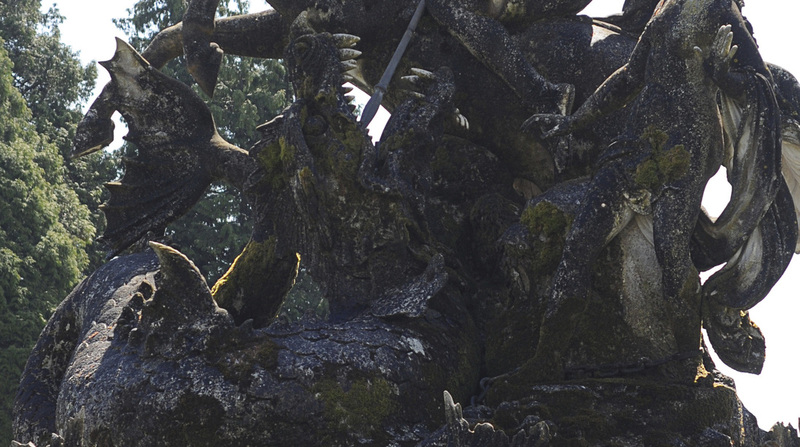 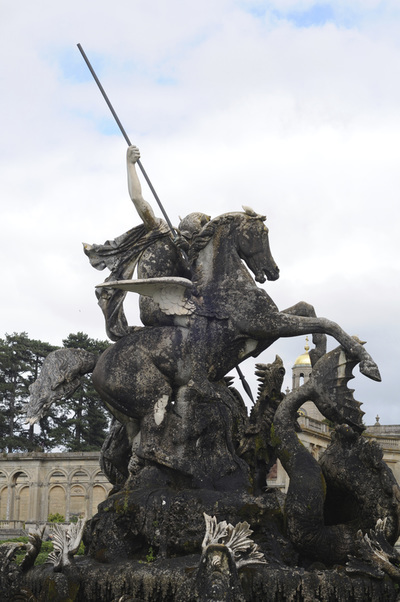 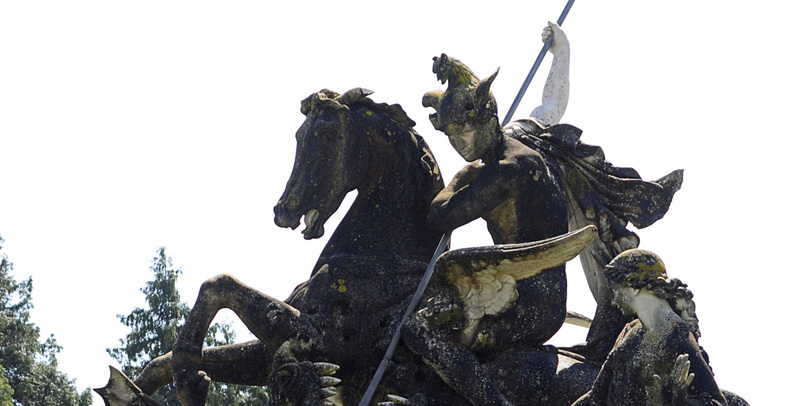 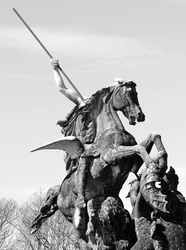 The Portland stone statues represent the classical myth of the hero Perseus riding the winged horse Pegasus, rescuing the heroine Andromeda, who has been chained to a rock by the jealous sea-god Poseidon and battling a sea monster which is attempting to devour Andromeda. 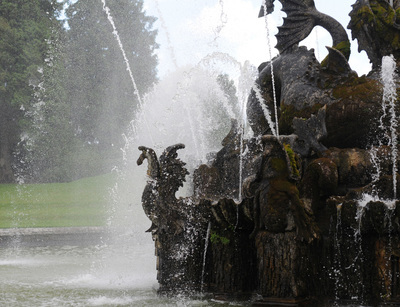 The base of the fountain is encircled by alternating grotesque fish and shells and is set in shaped render-lined brick pool. 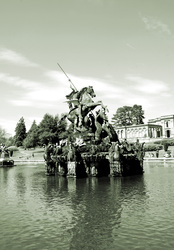 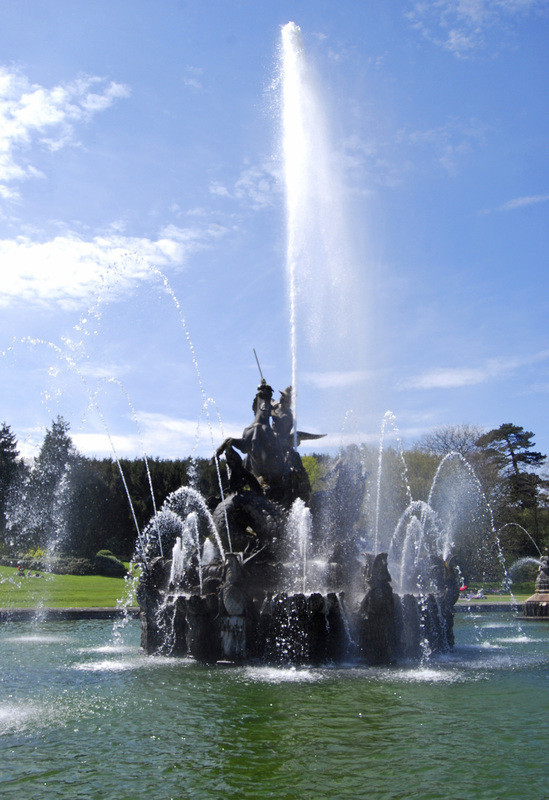 The engineers for the fountain were Easton & Co. To supply the water required 4,000 gallons of water were pumped from a nearby pool to a reservoir more than half a mile away and 30 metres above the level of the house. 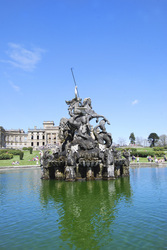 The main jet from the sea monster's mouth reached a height of 36 metres.